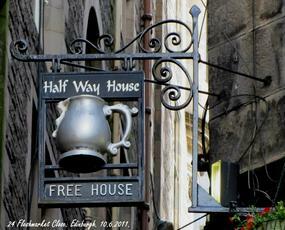 A rarity - an Edinburgh pub I haven't previously found. Pleased to have found it. Very convenient for a last minute beer before catching a train. $ beers and pub food make this bar worth looking for. Small but decent pub halfway up the steps leading from the station to the old town. Managed to get a table here and found it friendly along with a good selection of well kept brews on offer. Probably your best bet for a swift ale before catching a train. 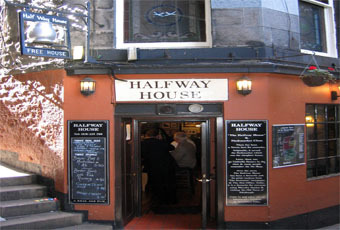 Tiny Edinburgh institution up some steps from Waverley station on the way up to the top of the Royal Mile. Despite its size, I did manage to get hold of a seat. But this is a fairly tight space. 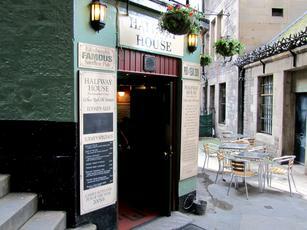 Ales were Scottish Borders Foxy Blonde, Harviestoun Tasman Bullet, Allendale American Brown Ale & Broughton The Reiver. Cider on offer was Addlestones. Good selection and also an interesting range of railway memorabilia on the walls. I like the pub, but I think Edinburgh has better. 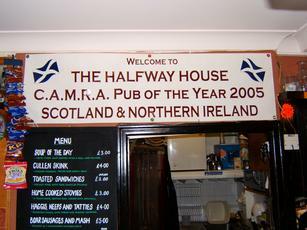 Another visit to The Halfway House, this time Saturday 6th June at about 5:30. Same cosy, friendly place, busier this time, so even more of a good atmosphere - literally as well as figuratively, as the aroma of fresh food was wafting in from the kitchen. Almost like being at home! Very good quality ale. Had a pint of Broughton Dark Dunster, and a pint of A Tsealac Kildonnan. 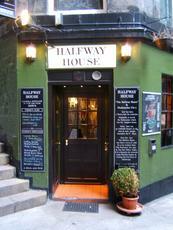 Then over the way to Waverly and the train home, very satisified with another day out in Edinburgh.